DrKehres.com health blog: Have you ever heard of a spine transplant? Neither have we. 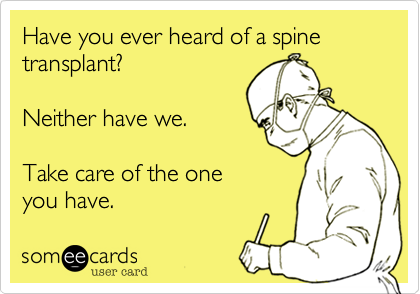 Have you ever heard of a spine transplant? Neither have we.